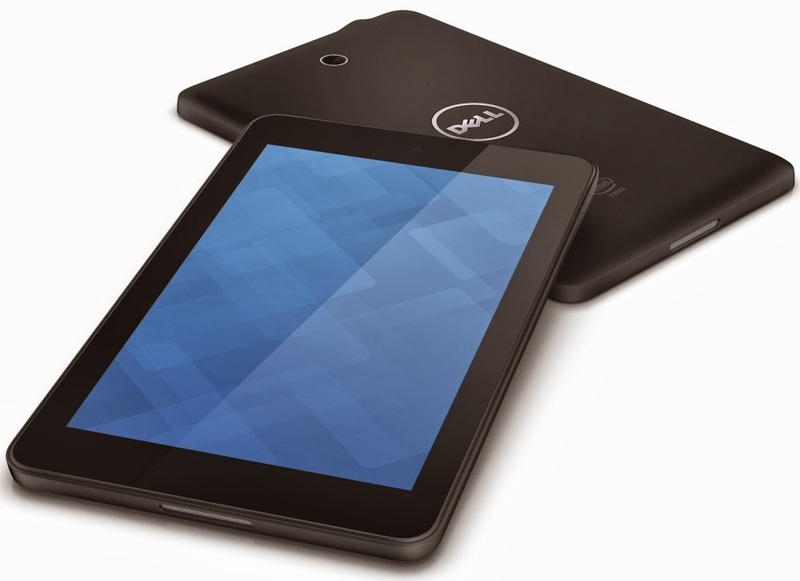 In last October Dell unveiled a pair of Venue branded tablets running Android and powered by Clover Trail+ processors. These models included the Venue 7 and Venue 8, both of which arrived running Android 4.2.2 Jelly Bean. Dell had these two models available for purchase shortly after they were announced. Price of Dell Venue 7 starts from $150 and Venue 8 starts from $180. In this review I will go through many features of the smaller Venue 7 tablet. The Venue 7 tablet itself weighs in at 0.692 pounds and measures 0.38 x 4.65 x 7.60. Under the hood you have an Intel dual-core 1.6GHz ATOM Z2580 processor, which is the high-end Clover Trail+ version that features Hyperthreading and VTx technology. This is paired with 2GB of RAM, and Intel HD graphics adapter, support for 802.11 b/g/n wireless and Bluetooth 4.0. The screen resolution is 1200 x 800, which is not a bad choice for $150 machine. Because of low power Inter CPU, Dell venue 7 have excellent battery life of 7 hours heavy usage. Dell Venue 7 has a VGA quality on the front and a 3 megapixel on the back. Many users complain that the front-facing isn’t all that great. The 3MP back camera is falling in the category of OK to shoot. If you consider the price Dell Venue 7 does have some good features. It does provide a solid value for the price — $150. So if you are shopping for a tablet and are on a budget, the Venue 7 should be on your short list of tablets to consider.